Students studying, Enterprise, will discuss this and other questions in class. a. Create a mental map of all of the reasons that people purchase clothes. Where do you see the kinds of clothes that Nicole Miller sells on your mental map? b. Go to the Nicole Miller website, nicolemiller.com. Explore the site, getting a feel for the look and feel of the site and for the clothes. Based on your “experience” of Nicole Miller from the Web site, describe the Nicole Miller brand. c. How is Nicole Miller unique? Develop an outline of Nicole Miller’s story. How might her story be similar, or different, from the stories of other fashion designers? What can Nicole Miller clothes do for a customer that other clothes can’t? What are the characteristics of Nicole Miller customers, compared to the customers that buy clothes from other fashion designers? Why would Nicole Miller customers be loyal to this brand, and why would they be willing to purchase again? e. Discuss the brand positioning for Nicole Miller. f. What are the risks to the very personal Nicole Miller brand of adding product lines such as millergirl and Nicole by Nicole Miller? We all know about life's basics – food, shelter, clothing – all can be purchased in the US at many different places and at many different price points. Big retailers with big brands – Wal-Mart, Neiman Marcus, Macy's and Nordstrom dominate – but they do not create and deliver as many products and services as do small firms. And, where much of what we purchase from big retailers is manufactured offshore, their high-end lines are often made by small companies right here in the USA. The fact is, “There are over 24 million small and privately-held companies and only about 7,000 publicly traded companies.” Surprise. The big guys are really the little guys. Now look at yourself. What are you wearing? Why? Clothes help to define us; they are an extension of our personality. This jacket was designed and made by one of the world's most well-known fashion designers, Nicole Miller. With her partner, Bud Konheim, the two have been building a growing business since the early eighties. We'll take you now to Manhattan and you'll learn how they move ideas from mind to market. NICOLE MILLER: That dress should be $275 and that one should be the same. BUD KONHEIM: $275 – I would sell it for $275 and it will be a hot dress. HATTIE: Bud Konheim and Nicole Miller started the Nicole Miller Company in 1982. Today they have 165 employees working either at headquarters in New York City on 7th Avenue, in the warehouse or in the retail stores. 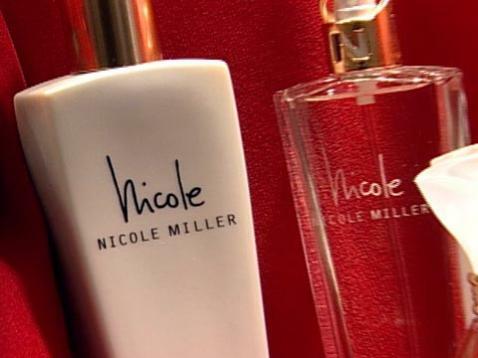 There are 30 Nicole Miller Boutiques around the country – 15 owned by Nicole Miller and 15 owned by licensees. Neiman Marcus, Saks Fifth Avenue, Nordstrom and other large retail operations also carry the line. NICOLE: My clothes look ageless. I've always been against clothes that make you look old. And I think a lot of times expensive clothes tend to make women look older and more mature. And I've always been against looking older than you are. And I don't think you should be dressing like a teeny-bopper either because I think women shouldn't dress so that they look foolish. But I think they should always dress so they look youthful. BUD: That is the business we are in. We're trying to make a product that makes somebody happy. If it doesn't make them happy, they are not buying it and your out of business. So the whole thing is about delivering a “feel good.” This is what it is all about. Now you get that feeling when you are dealing with a customer one on one and she is dealing with her customer who is in the store at the same time you are. HATTIE: The company has grown by creating fashions they love, by developing their own sales channel and by licensing Nicole's designs to 15 different firms who make handbags, travel accessories, socks and more. Nearly half of today's 130 million in annual revenue comes from the licensing of designs by Nicole. BUD: The price strategy has to be part of the fun. If a customer is going to pick up a tag and say “This is uncomfortable for me, it's not fun.” So it doesn't have to be cheap – it has to be something that she expects it to be. I mean, I think that's probably the key. They come through a Nicole Miller awning knowing there is no designer price punishment. It's going to fun clothes – they are going to wear it and they are going to have a great time. It's as well made as anything – it's certainly original design. We have runway shows just like everybody who charges 50 times the price. But, it's got to work for her the way she expects it. She expects to pay a certain price in there, and if we break that barrier, it is uncomfortable and she's likely not to buy it. If you start out selling department stores, there's no feeling of anything. If there is a buyer there or a merchandiser or a controller, because you don't even have people selecting the merchandise anymore, you are selling into an office; you present and you don't know who the customer is. The buyer half the time has no idea who her customer is because department stores deal in traffic. Where a small store deals in trade. She knows her customer, she knows Alice, she knows Mary, she knows Sally, she knows Joan and she buys for them. And that's a business. This ambiguous stuff, where you just buy stuff for somebody or the trade or the people. There is no focus to that and there is no meaning to it. And it is much more difficult when you are buying by some sort of computer profile. What Nicole Miller is today absolutely flies in the face of everything. It is a young looking line at better than young cheap prices. It is not really very expensive and it's also a little bit longer waisted. That's what we do. And when department store come in here, their big question is, “Who do you hang with?” Because all our missy stuff is still conservative, and all our trendy stuff, they call it contemporary (they change the names all the time) is all on this other thing – it's cheaper, and it's flashier and it's not well-made but nobody cares. I say, “But, this is what we do. This is what we do.” We are in the middle of the whole thing and we are not like anybody else, and we have been very successful doing it. HATTIE (Voiceover): Every item carrying the Nicole Miller name starts with Nicole's sketch pad. NICOLE: --- but that point is too sharp. HATTIE: and several days a week, there are fitting meetings where Nicole and the team see the piece on a real person for the first time. NICOLE: -- it goes up too high on the sides? Right? HATTIE: Costing is calculated by the production department based upon labor, fabric and trim. The sales department decides the best price to be competitive and the garment is scheduled for production. Up to this point, everything has been done by hand – sketching, draping, pattern-making. At the factory, patterns are sized and created by computer. NICOLE: Well, the first thing I do is plan a color story for the season -- and I just do that totally instinctively. And then I look for the fabrics and I try to find new fabrics and then I try to continue some fabrics that have been successful for me in the past. And, then I start to just map out kind of a game plan, sort of like an outline of the direction that the season is going to go in. And some years I can't find an inspiration, so I have to turn everything upside down. the New York home office team visits the shop owned by Stephanie Lyons. The tiny space is full of style and most important – it is full of customers. HATTIE: What do you think you are doing right? STEPHANIE: It's the La Jolla customers that we have. La Jolla, Del Mar, Rancho Santa Fe – they are fabulous customers. They are really “with it” as far as style goes – they understand Nicole. They like the whimsical, they like the funky, they like the classic too. And she really offers that for everybody. HATTIE: So what do you think about the future? STEPHANIE:I'm loving it. We just signed another five-year lease here in La Jolla, the same spot, this is a perfect location for us. It has just been great, her collection gets stronger and stronger every year. Customer: Isn't it precious? Oh! BUD: So America is built on selling each other a whole bunch of stuff that we don't actually need to live. We don't need it. But what are we doing, we are selling each other the stuff because it makes us feel good. Chapter 6. Discovering Opportunities with S.C.R.U.B.S. Ping Golf is striving for perfection. Chapter 6. Pick the Right Time from S.C.R.U.B.S.